Cadwell Park will celebrate its racing heritage at the all-new International Classic event later this month (25/26 July), which blends historic motorcycle racing with a fantastic off-track programme and appearances from star names, such as 15-time World Motorcycle Grand Prix champion Giacomo Agostini and legendary commentator Murray Walker. 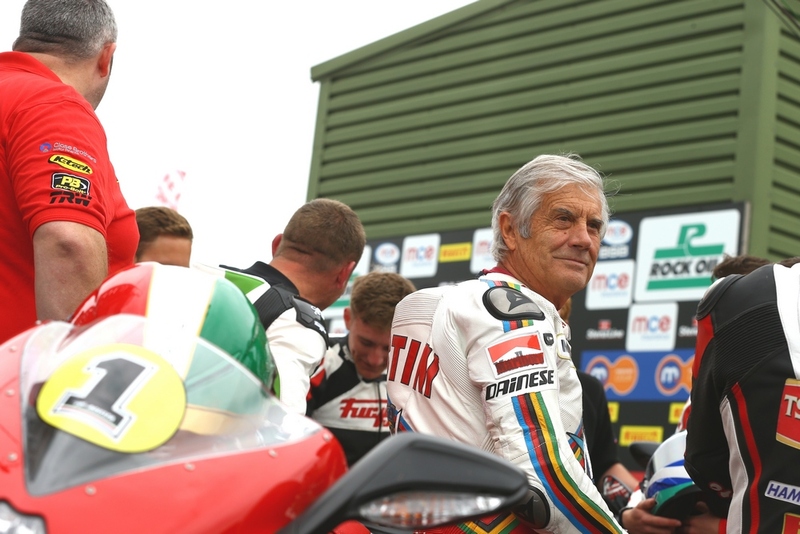 Agostini and Walker head up an impressive star-studded guest list, which includes ‘The Prince of Speed’ Phil Read, Superbike stalwarts Chris Walker and John Reynolds, Lincolnshire luminaries Roger Marshall and Derek Chatterton, and many other heroes from the circuit’s past. Many of the star names will be reunited with their two-wheeled steeds from years gone by, to partake in special parades and demonstrations. In addition to celebrating their own racing past on-track, the legends will be sharing their favourite racing stories in special Q&A sessions with 2009 British Supersport Champion Steve Plater and international bike racer-turned-broadcaster James Haydon, and meeting the fans at autograph sessions. The racing line-up is headlined by the International Classic Grand Prix series, which recalls the 1974-1984 period of Motorcycle Grand Prix racing, in which Agostini won the last of his 15 World Championships. It’s also the era in which charismatic British favourite Barry Sheene enjoyed his greatest racing successes – Sheene’s former team-mate and 1976 championship runner-up Teuvo Länsivuori is attending as a guest. 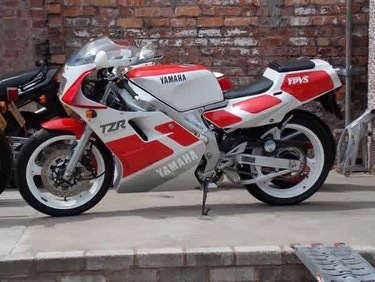 Other racing highlights to look out for include the International Classic Superbike series, which celebrates the exciting Superbike racing era of the late ‘80s and early ‘90s, and the International Historic Racing Organisation, which recreates the earlier period of Grand Prix racing from 1945-’72. There will be a number of special one-off historic bike races celebrating the circuit’s past too, including the Charlie’s Trophy, named in honour of one-time Cadwell Park custodian Charlie Wilkinson, who first persuaded his father to adapt the land for motorbike racing in 1934. 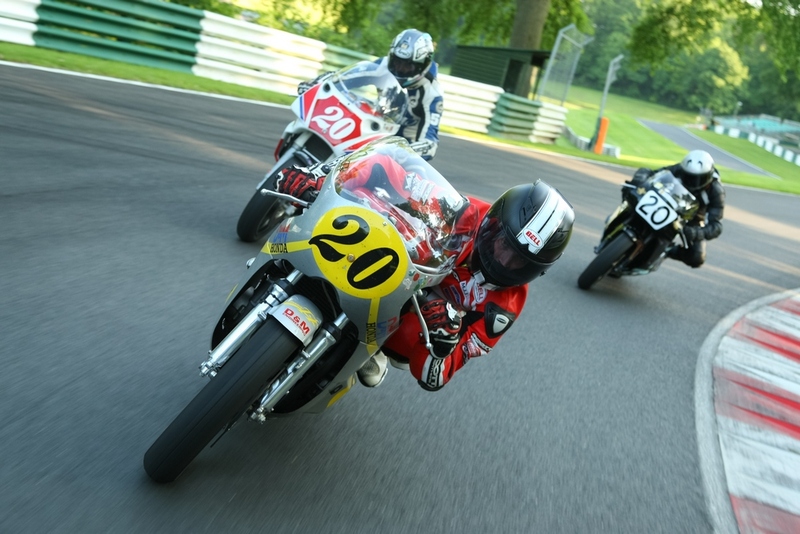 The Tommy Wood Trophy, for pre-’92 Superbikes, and the Classic King of Cadwell, for pre-’72 motorbikes, will be in action too, ensuring that all aspects of Cadwell Park’s bike racing history are covered. The star riders and bumper racing package are just the tip of the iceberg, with a lively off-track atmosphere anticipated, and plenty of activities scheduled throughout the weekend. This is set to include an evocative air display starring a Messerschmitt 109 and a Supermarine Spitfire and a flypast from the RAF Memorial Flight’s Spitfire and Hawker Hurricane, 75 years on from the Battle of Britain. Another exciting element for spectators to revel in will be Motorcycle Trials displays, showcasing the masterful art of balance and precision required to succeed in off-road riding. Trials legend Sammy Miller will be appearing at the event too, so there will be plenty of opportunities to find out what it takes to become an 11-time British Trials Champion during the autograph sessions. 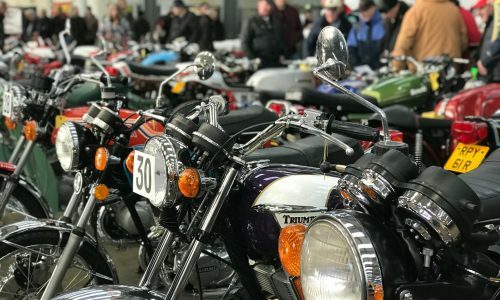 There will be live jazz music sets from the Shannon Reilly Trio, to help transport the crowd back to a bygone era, extensive trade areas, classic bus tours of the circuit, children’s entertainment, classic bike and historic vehicle displays, and a lively campsite, which should ensure the party atmosphere lasts all weekend!